Marjorie was born January 12, 1926 in Livingston, Montana, the daughter of Carl S. and Rosa May (Poore) Haymond. She received her education in Bozeman and Livingston, graduating at the age of 16 and later enrolling at Montana State College. While at MSC, Marjorie met Army Air Corp 1st Lieutenant, Donald C. Beckman, from Roundup, Montana at the Livingston First Baptist Church Cherry Pie Social. Don won her heart and they were married January 7, 1945 at Kirtland Field, Albuquerque, New Mexico where Don was a pilot instructor. After the war ended, they returned to Bozeman to finish their educations at Montana State. Marjorie received a degree in Bacteriology and Don in Mechanical Engineering. Upon graduation, Don was hired by the Corps of Engineers for a “one-year” engineering assignment at the Fort Peck Dam Project 30 years later, Don retired from the Corps of Engineers as Area Engineer. Together Marjorie and Don raised their family, Frances, Donna, DonAl and Denise in the Fort Peck and rural Glasgow area, farming and ranching, with 4H being a priority for everyone in the family. Marjorie was an active member of the Glasgow School Board and AAUW and was very involved in other service organizations. She and Don became self-taught experts in geology and paleontology. 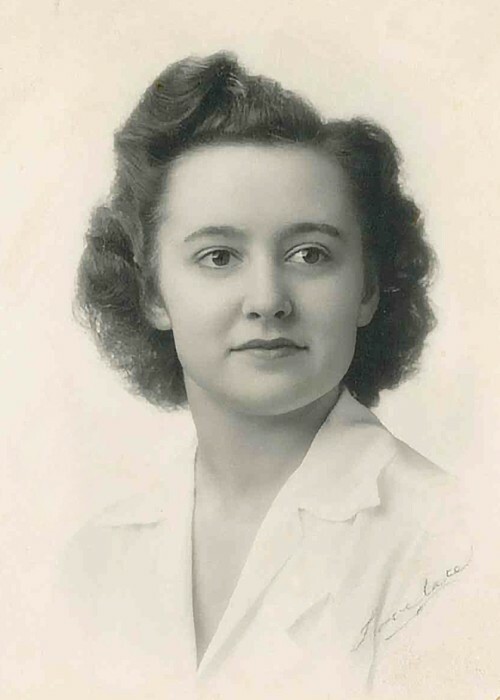 Throughout their time in northeastern Montana, Marjorie entertained 4-star generals, dignitaries and university paleontologists from around the world. 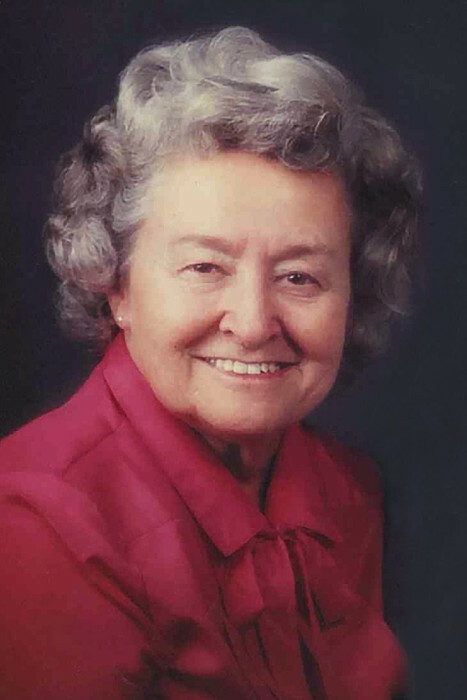 Marjorie was a rifle markswoman, harvested wild game and after Don’s retirement co-founded their engineering and land surveying business, “Beckman Engineering”. Some winters instead of going "South" they would go to college. They taught at MSU-Northern, Havre, for a few years after Don's retirement. Marjorie taught Microbiology and Water Quality while Don taught Construction Engineering and Land Surveying. The students loved them both. In the summers they would take their trailer to Polebridge, MT and work on building a family cabin. The highlight of their years was spending this time together and meeting new friends wherever they went. Marjorie’s life was devoted to her husband and family. When he passed away at an early age of 68, it left her with a very big hole to fill and a life to reinvent. She did so in typical Marjorie-fashion, by taking care of her own mother and grandchildren. She volunteered her time and talents to her church, the Museum of the Rockies Docent program and many other service organizations. Marjorie was recently honored as an “Extraordinary Ordinary Woman of Montana State University,” an award that recognizes MSU Alumni women who have had an impact on the status of women at MSU and have inspired others by their example. Marjorie taught us about unconditional love, enduring faithfulness, patience and empathy. Her spirit remains with all of those who were blessed to have known her and we honor her by pursuing our passions and dreams. Marjorie is survived by her sisters, Helen Thompson of Colorado Springs, Colorado and Linda Lester, Littleton, Colorado; daughter, Frances (Jim) Yuhas of Mosier, Oregon, grandchildren, Kathy Dehning, Ann Yuhas and Christy (Brian) VanDaele; daughter, Donna (John) Paulson of Missoula, Montana, grandchildren, BJ (Angie) Paulson, Brad Paulson; son, DonAl (Jean) Beckman of Lynden, Washington, grandchildren, Laura (Baldwin) Goodell, Melissa (Nate) Rothbauer, Mike Beckman; daughter, Denise (Kurt) Palmquist of Bozeman, Montana, grandchildren, Erik Palmquist, Blake Palmquist, 14 great-grandchildren and numerous nieces and nephews. Marjorie is preceded in death by her parents, Carl and Rosa May Haymond; husband, Donald C. Beckman; sisters, Ethel Christianson; Betty Gladish; and brother, Donald R. Haymond. The family wishes to thank all the caregivers, nurses and administration of Spring Creek Inn Memory Care in Bozeman for your loving care of our mother and grandmother, Marjorie, as she endured the effects of Alzheimer’s disease with grace and humility. We pray for a cure.